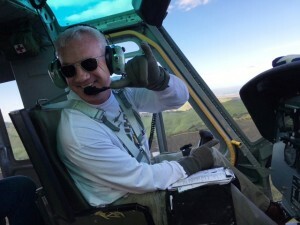 Colonel (RET) Mark Young, United States Army, is a qualified UH-60 “Black Hawk”, UH-1 “Huey”, OH-58 “Kiowa” and commercial helicopter pilot and flight instructor with over 2,300 hours of rotary wing flight time. He has 27 years of military service, including a culminating assignment as the NORAD/USNORTHCOM Liaison Officer to Health and Human Services. He currently works as the Regional Administrator for the Assistant Secretary for Preparedness and Response for the Department of Health and Human Services. In 1987, Colonel Young earned a Bachelor’s Degree in History from Bloomsburg University of Pennsylvania and in 1996 he earned a Master of Aeronautical Science degree with a concentration in Human Factors from Embry-Riddle Aeronautical University Main Campus in Daytona Beach, Florida. His military education includes Army Medical Department Officer Basic, Army Aviation Officer Advance Course, Combined Army Service Staff School, and Command and General Staff College. 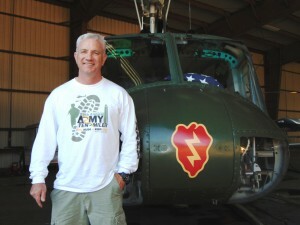 Colonel Young is a Certificated Flight Instructor in helicopters as well as UH-1 “Huey” maintenance test pilot.